I heard an interesting theory put forward recently (by comedian Frank Skinner) that Strictly Come Dancing led to Brexit. In the 2008 series, journalist John Sergeant was possibly the most hopeless contestant to ever appear on the programme. However despite the frequent condemnation of the dance judges, the public voted week after week to keep him in the show. Skinner suggested that it was perhaps the moment that people realised they could ignore “experts” and get the result they wanted through voting in sufficient numbers. In common with every other area of business, HR professionals are currently grappling with the implications of Brexit. Much of the debate surrounds employment law (will it change or not, and if so how? ), recruitment (what will be the rules on recruiting EU nationals, will they be required to have work permits), and skill shortages (will we still be able to employ existing EU staff, and if not how will we fill the skills gap?). However, one overlooked area is that of Employee Relations. We’re currently seeing a wave of industrial disputes – railways, airline staff, Post Office workers, airport baggage handlers, Weetabix factory workers. While some suggest this is some wave of 1970s style union militancy, the fact is that the majority of these disputes are over ‘old-fashioned’ pay and conditions matters, and they are overwhelming supported by affected staff in secret ballots. Perhaps the Brexit vote has convinced ‘ordinary workers’ that they can change things by voting? What it has also revealed is the poor approach of management in most of these situations. It may be arrogance – a belief that management proposals can always be implemented because the employer wants to, irrespective of the views of employees. Or it could be a refusal to believe that people will do something so ‘stupid’ – they won’t vote to strike and lose pay before Christmas (just like they won’t vote to leave the EU or for a dancer as poor as John Sergeant). Mostly however I suspect it’s a lack of competence – managers, including many in HR, just don’t know how to negotiate on a collective basis. It’s interesting that several of the disputes have been quickly solved when expert negotiators from ACAS have become involved. So perhaps that’s another Brexit issue for HR people – the need to brush up on, or even gain in the first place, the knowledge and skills to manage employee relations. 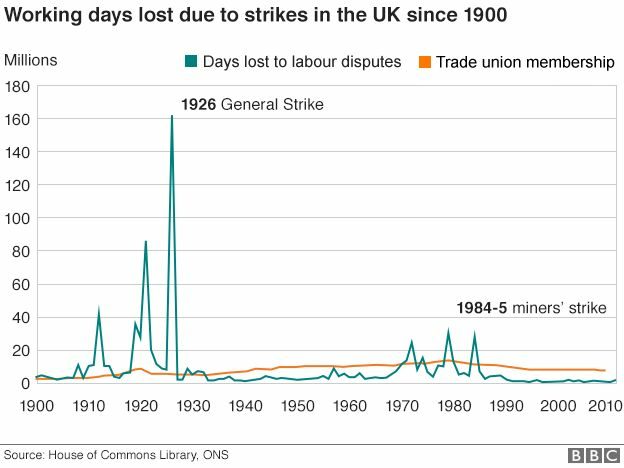 As someone who cut their HR teeth in this area, I’m looking forward to some full and frank discussions with trade union colleagues in the coming months and years! Recently, I’ve been attempting to read “The Art of the Deal”, published in the 1980s by a New York businessman called Donald Trump (wonder whatever happened to him?). While it doesn’t contain any dramatic new insights into deal-making, it shows that the author does understand that to be successful in business, it is necessary to negotiate. When the book was published, most HR professionals would have seen this as a core skill. Negotiating with staff, whether via unions or not, was a day to day occurrence and something that was an integral part of the job. HR people understood that the interests of employers and staff were not always aligned and that there needed to be an element of give and take on both sides. Hardline confrontational tactics might be used on occasion, but normally only if a red-line had been crossed (or if there were some hidden agenda at play). These days, negotiation skills are very much a lost art. “Employee Relations” means, to many HR people, the ‘nuisance’ of dealing with an individual grievance or a disciplinary matter. If workers aren’t completely sold on the company’s mission, it’s due to a failure of our employee engagement initiatives and we need to redouble our efforts to get our happiness scores up. The problem of course is that when a serious dispute occurs, HR professionals have no idea how to deal with it. Managers at Southern Rail decided that the best way to resolve their dispute was to troll their staff on social media in an attempt to bulldoze their position through. After a prolonged period of deadlock, the junior doctors dispute was only resolved when the arbitration service ACAS helped both parties to negotiate a deal (unfortunately, attitudes had become so entrenched by that point that the deal was later rejected, despite being recommended by the union). So here are my “Negotiation 101” tips for any HR practitioner – before you even start a negotiation. · Be clear about what items in the negotiation are tradeable and what are not (your ideal, realistic and fall-back positions). You can’t have your cake and eat it! · Aim for a win-win – something which allows the other party show they have gained something for concessions they may have to make. And when you get there, listen. Half the skill of a negotiation is understanding when the other party might be willing to discuss a tradeable item.